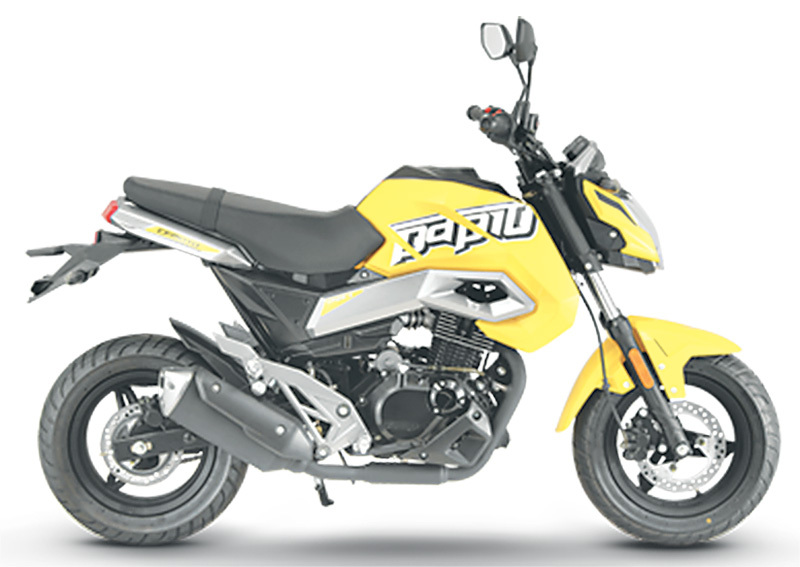 Austrian motorcycle company, CFMoto has finally entered the Nepali market after a bumpy start. The new company made its arrival during NADA Auto Show 2017 but visitors were disappointed when their booth was devoid of any motorcycles. It was not until the second last day of the Auto Show that CFMoto finally managed to set up their display units. Sales representatives at the CFMoto booth said that their shipment of motorcycles had been stranded in Hong Kong as a typhoon disabled transportation facilities. The shipment arrived in Kathmandu on September 1 and the company rushed to set up the display units for the Auto Show overnight. Their hard work paid off as Nepali customers are falling head over heels for their motorcycles. CFMoto collaborates with famed Austrian design company KISKA—the same company that designs KTM motorcylces. Anna International is the authorised dealer of CFMoto in Nepal. Currently, there are four models in CFMoto’s lineup. They are: ST Papio, 150 NK, 400 NK and 650 NK. Prices range from Rs225,000 for the ST Papio while the 650 NK is the most expensive at Rs1,000,000. All four models are equipped with EFI (Electronic Fuel Injection) and a 6-speed gearbox for a smooth riding experience. ST Papio is powered by 124.5cc, single cylinder, 4- stroke, air cooled engine. The engine pumps out maximum power of 9.4 hp at 8500 rpm and maximum torque of 8.3 nm at 6500 rpm. It is perfect for beginners that want a motorcycle that can excite them. The 150 NK, 400 NK, and 650 NK motorcycles offer improved equipment such as a premium Bosch EFI system. 150 NK is powered by 149.4cc, single cylinder, liquid cooled engine which delivers maximum power of 14.3 hp at 9000 rpm and maximum torque of 12.2 nm at 7000 rpm. 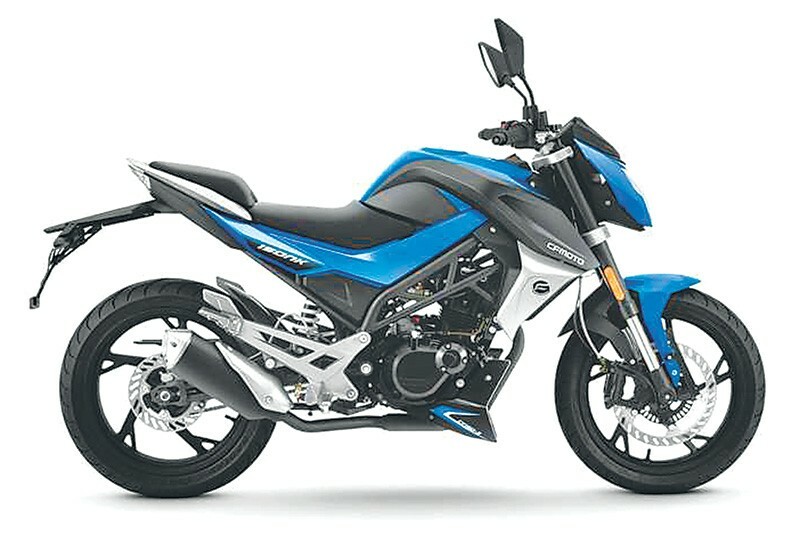 While the ST Papio and 150 NK are targeted at the entry level market, 400 NK and 650 NK are the more premium motorcycles in CFMoto’s lineup. 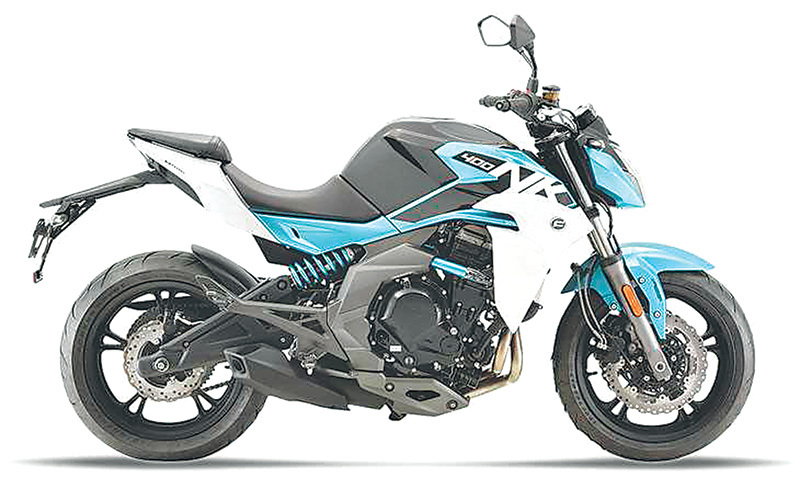 Both the 400 NK and 600 NK have a 2-cylinder inline, 8-valve liquid cooled engine and ABS (anti-lock braking system. The 400 NK is powered by a 400.4 cc engine which delivers maximum power of 42 hp at 9500 rpm and maximum torque of 35.4 nm at 7650 rpm while the 650 NK is powered by 649.3cc engine which delivers maximum power of 60 hp at 9000 rpm and maximum torque of 62.0 nm at 7000 rpm. The company is looking to attract customers who are looking for design, performance and comfort. “People are really showing their interest in CFMoto motorbikes as these motorbikes have good looks, power and comfort,” said Lex Shakya, marketing head of CFMoto. “Mainly youngsters are interested in 400 NK and motorbike enthusiasts are interested in 650 NK,” added Shakya. ST Papio, 150 NK, 400 NK, and 650 NK are priced at Rs 225,000, Rs 290,000, Rs 640,000 and Rs 1,000,000 respectively. Servicing of these motorbikes can cost up to Rs 5,000 as they use semi synthetic engine oil for ST Papio and 150 NK. The 400 NK and 650 NK use full synthetic engine oil. Parts are easily available at the authorised service centre of CFMoto which is located at Buddhanagar , Kathmandu. Anna International has brought 14 units of CFMoto motorbikes in Nepal and all of them have already been sold with more units coming after Tihar, one of the biggest festival of Nepal.